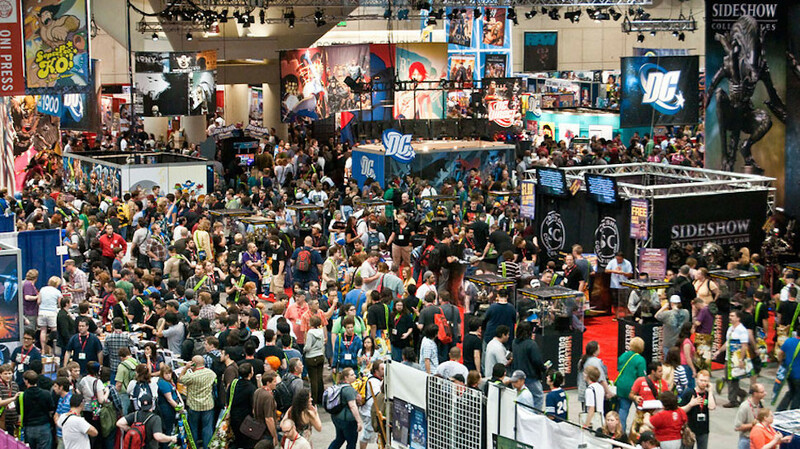 November 19, 2015 – espnW has teamed with Marvel Comics to create “super” takes on the 2015 “IMPACT25” list, which recognizes athletes and influencers who have made the biggest mark on women in sports this year – 24 nominees, plus The espnW Woman of the Year. A collection of Marvel artists will utilize their various creative styles to highlight the special talents of the honorees and create a super version of each. 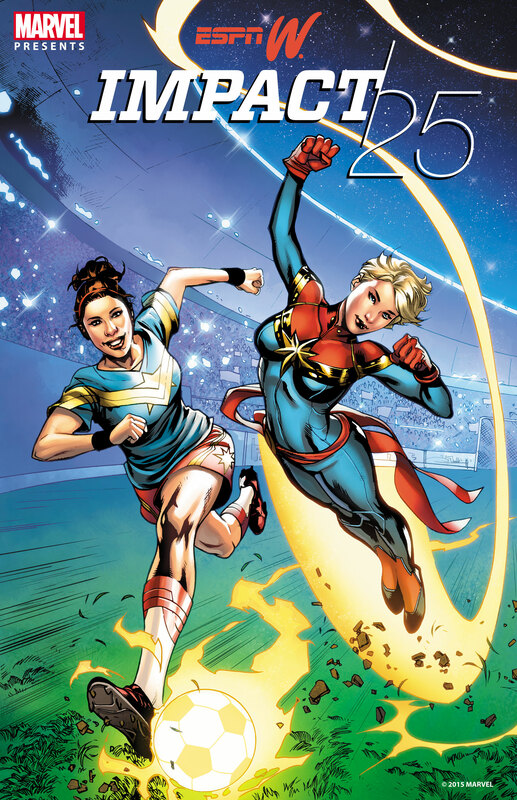 To kick off the series, Marvel created an illustration of U.S. Women’s National Team star Carli Lloyd alongside popular Marvel Super Hero, Captain Marvel. Lloyd’s memorable and indefatigable play during the 2015 FIFA Women’s World Cup resulted in her team hoisting the trophy as champions and earned her the Golden Ball as the best player of the tournament. The full roster and artist renditions of the 2015 “IMPACT25” list will be revealed Monday, Dec. 7, on espnW.com/impact25. As part of the collaboration, the hosts of the Women of Marvel podcast – Sana Amanat, Adri Cowan, Judy Stephens and Emily Shaw – will be guests on the espnW Presents: Be Honest with Cari Champion podcast, debuting December 7, and will also welcome Overholt and espnW deputy editor Jennifer Holmes on Women of Marvel on a date to be determined. In addition, espnW.com will have exclusive behind-the-scenes looks at the process of transforming these real-life heroes into larger-than-life Super Heroes. Some of the groundbreakers on last year’s IMPACT25 included: The espnW Woman of the Year, Becky Hammon, who became the first woman to hold a coaching position in the NBA; Michele Roberts, who made history as the first female executive director of the National Basketball Players Association; Condoleezza Rice, whose appointment to the College Football Playoff Selection Committee made headlines across the country; tennis star Serena Williams, who overcame several injuries to end the year as the world No. 1; and Little League phenom Mo’ne Davis, whose 70 mph fastball made her a household name.